Have you ever crafted with coconuts? Well, I gave it a try a few weeks ago and it was a bit of challenge. The first thing you need to figure out when it comes to coconut crafts: how do you open the darn thing? I went through a few before I finally got the hang of it (I kept cracking them down the side, instead of across the middle). 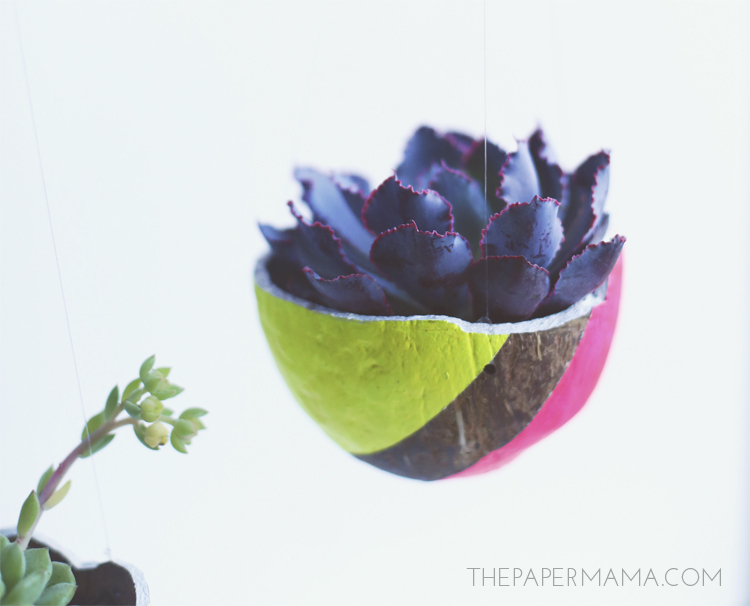 Once you figure out how to crack a coconut in half (I shared how to do that on the HP Create blog), you can turn your cracked coconut into my lovely Neon Hanging Coconut Planter DIY. I’m so happy with how these turned out (even though it took a bit of process to get the coconut cracking process down). Have you been gardening? Adding plants to your garden, or even to your home this Spring? 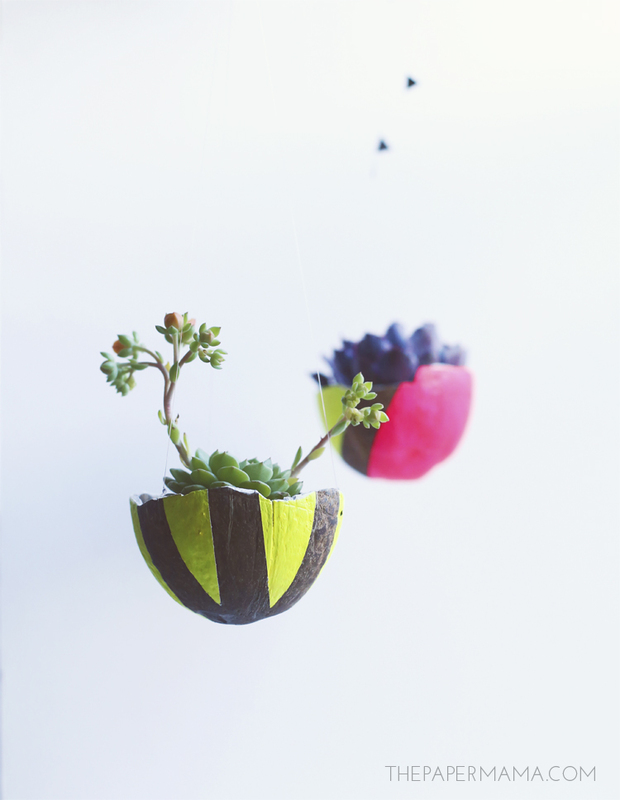 To check out the full tutorial for the Neon Hanging Coconut Planter DIY, head on over to the HP Create Blog. P.S. I’m a paid contributor for the HP Create blog. If you liked this DIY, check out these other garden creations I made for HP: String Air Plant Holder, Fruity Mod Podge Planter, and Floral cupcake toppers for your garden party.